People have been asking me about my teaching schedule. 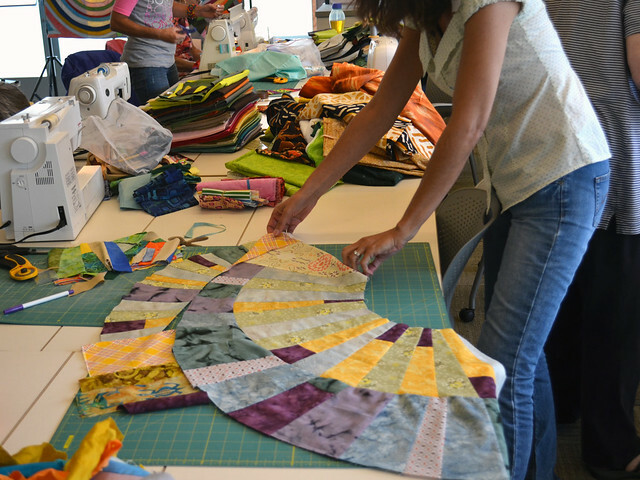 I'm happy to announce an exhibition and upcoming improvisational patchwork classes scattered across the country. I may be teaching in your neighborhood soon! October 10 - December 28, 2013. Right now you can view Rainbow Cloud Quilt in the exhibition, Roots of Modern Quilting, at the New England Quilt Museum in Lowell, MA. February 7-9, 2014. 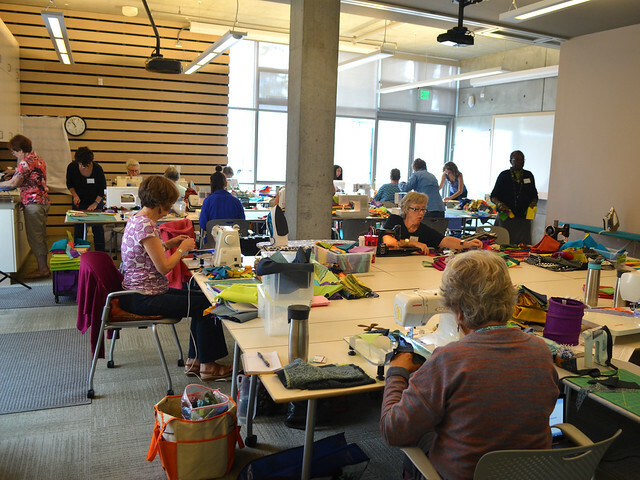 I will be teaching the Improv Round Robin at the Modern Quilt Guild's SewDown: Portland. Registration is open! July 2014 (specific dates to be determined). Spoonflower in Durham, NC. 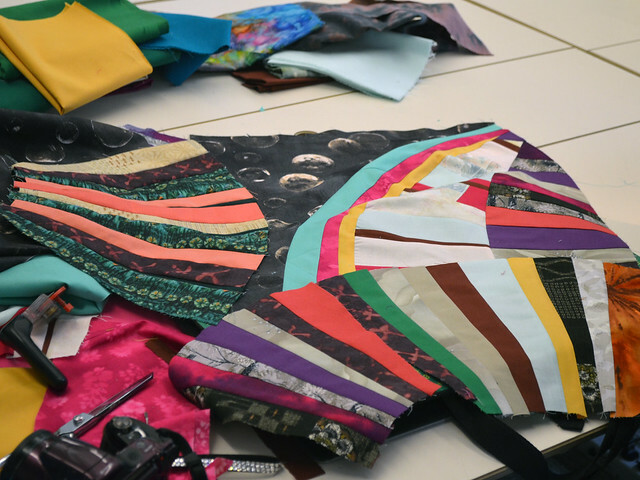 I will be speaking about Improvisational Patchwork and Process and teaching a full day improvisational quilting workshop. More details to come! I would like to piggy back two or three more east coast gigs over a two-week period in July. If you are interested in having me teach in your east coast city at your local quilt shop, guild or art school during this time contact me and we will try to make it happen! I'm willing to travel as far as NY and all the way down to Atlanta. 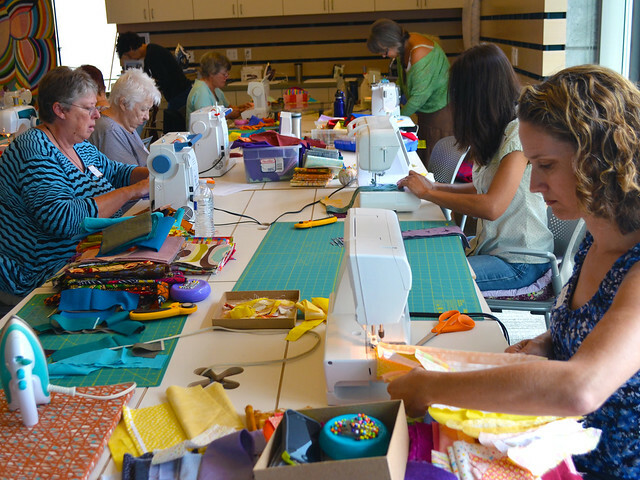 August 25-26, 2014, Santa Clara Valley Quilt Association, Santa Clara, CA. 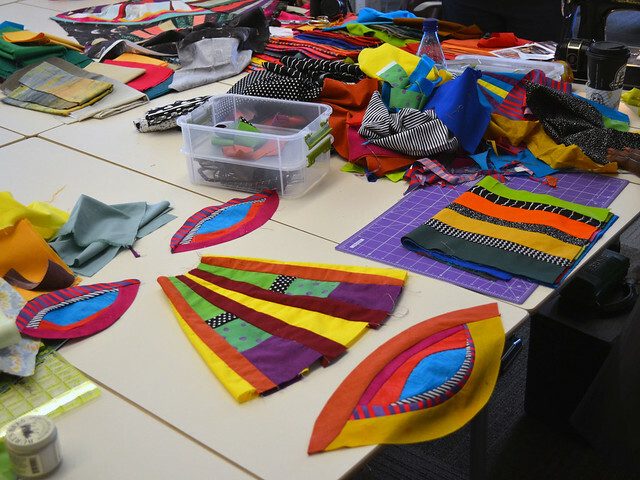 I will be speaking about Improvisational Patchwork and Process and teaching a workshop. 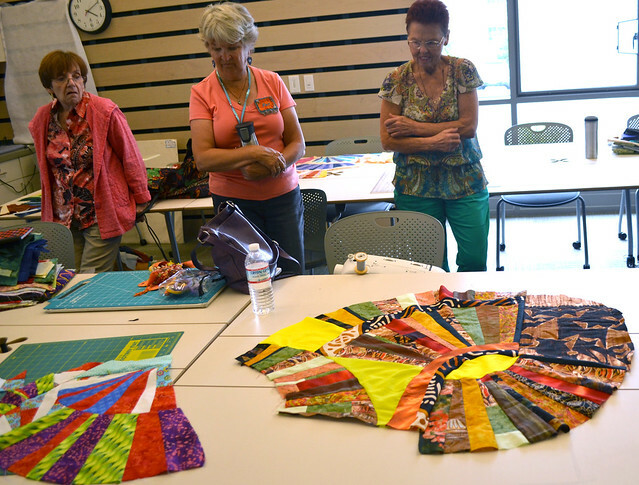 Hello California quilters! I'm local which means minimal transportation costs. 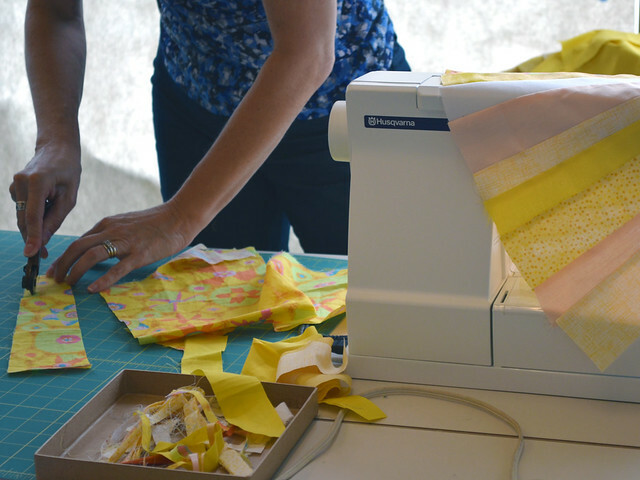 Also Bay Area quilters, I may be teaching a series of test-kitchen improvisational workshops for my book this winter or early spring. Please stay tuned! November 14-15, 2014, Camp Stitchalot, Pleasant Lake, MI. So pleased to announce that I will be one of the "camp counselors" for this cozy event! Registration is open. Again I am hoping to piggyback an additional presentation or workshop immediately before or after Camp Stitchalot. If you know of a guild, quilt shop, or art school in the Detroit or Lansing area who might be interested please contact me! 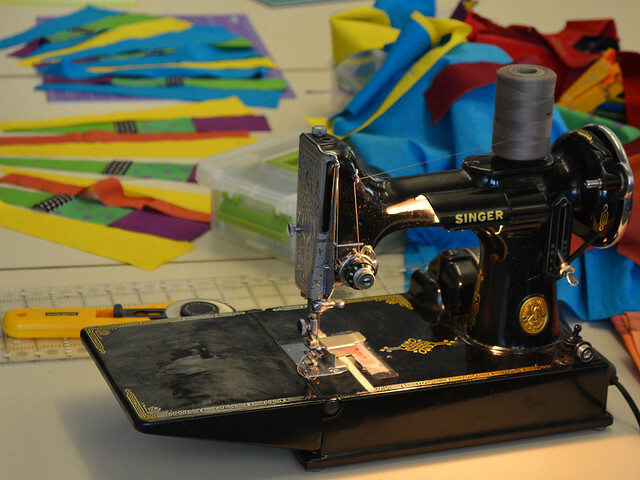 March 1-2, 2015, Fidalgo Island Quilters, Anacortes, WA. I will be doing two presentations for the guild and teaching a workshop. I am available to present or teach immediately before or after my visit with FIQ. If you know of a guild, quilt shop, or art school in the Seattle area who might be interested please contact me! Photos are from Get Your Curve On, a workshop held at the Pajoro Valley Quilt Association, Santa Cruz, CA on September 9, 2013. A good time was had by all! If you attended this class PLEASE leave a review in the comments.